Jute Lokta A4 paper (pack of 25 sheets). This is an attractive pale green lightweight 55 gsm paper and is a light-coloured paper is ideal for all your printing requirements. 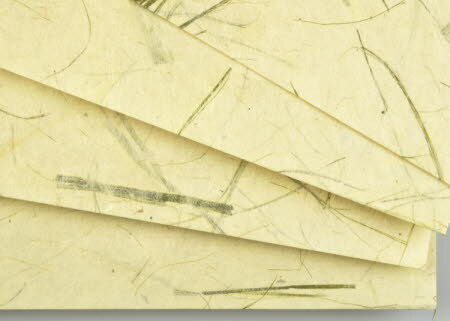 Strands of green jute fibre add interest and variety to this lokta paper, giving it an overall pale greenish tinge. We were surprised to find out that jute is closely related to the lime tree.